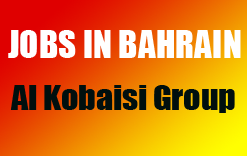 The Al Kobaisi Group is one of the largest independent, family owned group of companies in the Kingdom of Bahrain. The Essa Mubarak Al Kobaisi Group, whose founder and Chairman is Mr. Essa Mubarak Al Kobaisi initially started business as a construction company in the year 1972. With his dedication and effort, small ministry jobs progressed into bigger contracts, and diverting and moving ahead in grasping the private sector. Hiring for Bahrain: Bahrain, a nation comprising more than 30 islands in the Arabian Gulf, has been at the center of major trade routes since antiquity. In its modern capital, Manama, the acclaimed Bahrain National Museum showcases artifacts from the ancient Dilmun civilization that flourished in the region for millennia. The city's thriving Bab al-Bahrain bazaar offers wares ranging from colorful handwoven fabrics and spices to pearls. Required minimum 5 years experience in Ready-Mix, Cement Blocks and Concrete Precast Production (GCC Experience is Preferred).